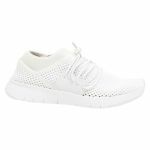 Airmesh Sneaker by FitFlop is a flat, casual, everyday active sneaker. You would wear Airmesh Sneaker as an everyday essential. Airmesh Sneaker mixes style and athleisure for an overall modern smart casual look. 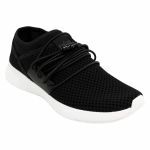 With supreme comfort, the FitFlop wearers are used to this sneaker also offers a unique Anatomiflex midsole that "move with your feet". 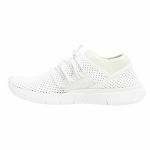 Airmesh Sneaker is made with super light, breathable and stretchy neoprene and knit material. 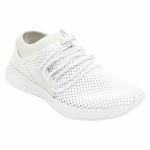 Airmesh Sneaker has high-rebound cushioning in its soles making it super easy and comfortable to walk on all day. To help preserve the colour of the upper and lining of these shoes, do not store in direct sunlight and avoid water exposure where possible.